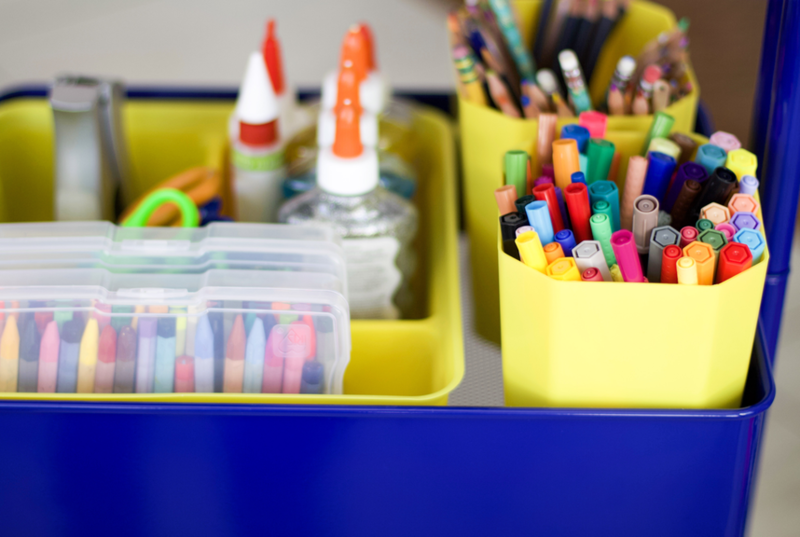 Gone are the days of storing kids' art supplies in a box on a tall closet shelf or cramming them all into one desk drawer. Here are the days of a mobile art cart! Carts are a perfect solution for art supplies because their size and mobility make it easier for kids to bring all of their supplies with them. 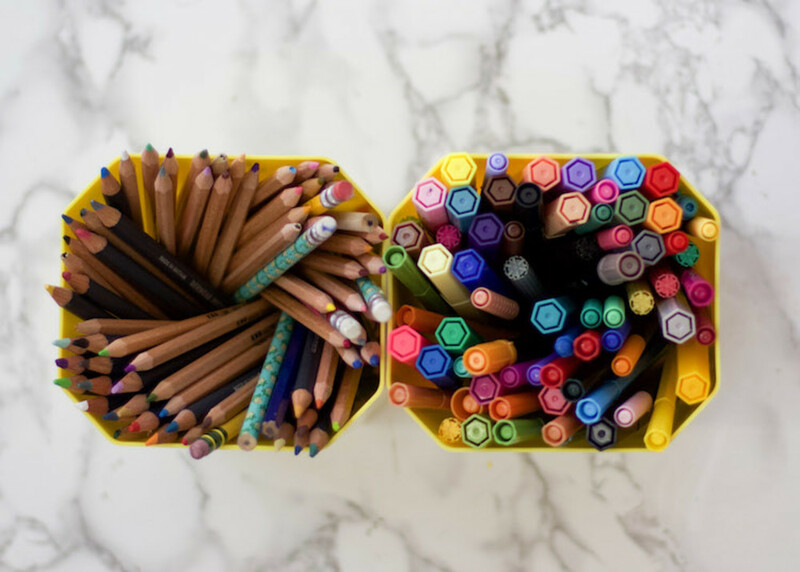 So, if you're looking for the perfect solution for organizing art supplies but don't know what you need, check out some of my favorite products below to create your own art cart. 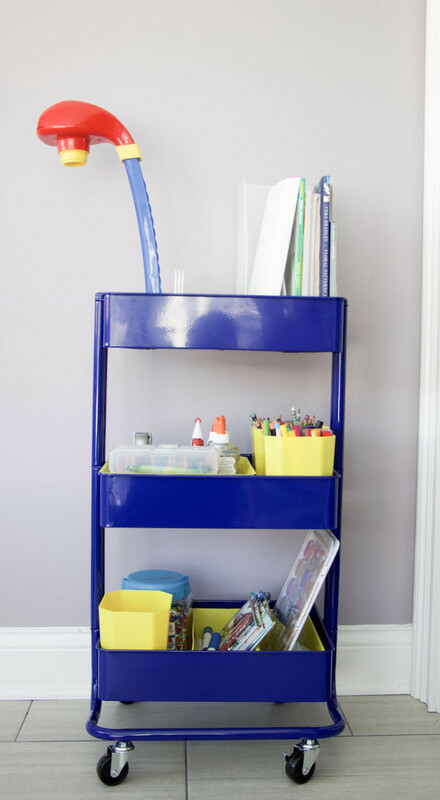 For this project, I used the Indigo Blue 3-Tier Rolling Cart from The Container Store. 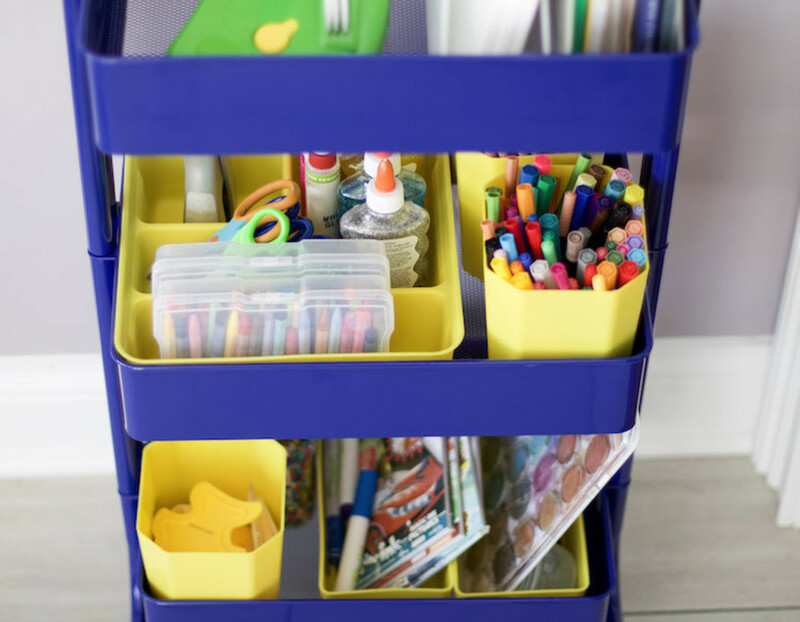 The three tiers are perfectly spaced apart from one another, and each tier is sized to hold various types of organizers that you can use to store different types of supplies. Before you get started, sort supplies based on type, and create zones where each supply will be stored. Creating zones helps kids quickly find what they're looking for AND helps them remember to return items to their designated spot when they're finished. When it's time to start organizing the cart, one of the most important things to do first is designate plenty of room for storing paper. Like-It Magazine Holders are perfect for paper storage, drawing pads and coloring books. Store the paper on the top shelf of the art cart for easy access and easy clean up. 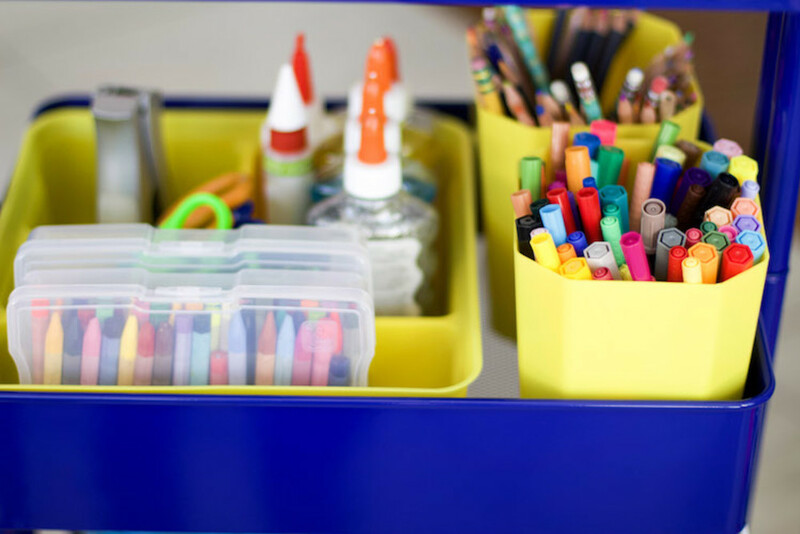 When it comes to organizing markers and colored pencils, use Tall Smart Store Inserts to group like items together in different zones. This means all markers are kept together in one zone and all colored pencils are together in another zone, etc. You can do this for different types of markers as well. For example, Sharpies or Dry Erase Markers might each get their own zone. 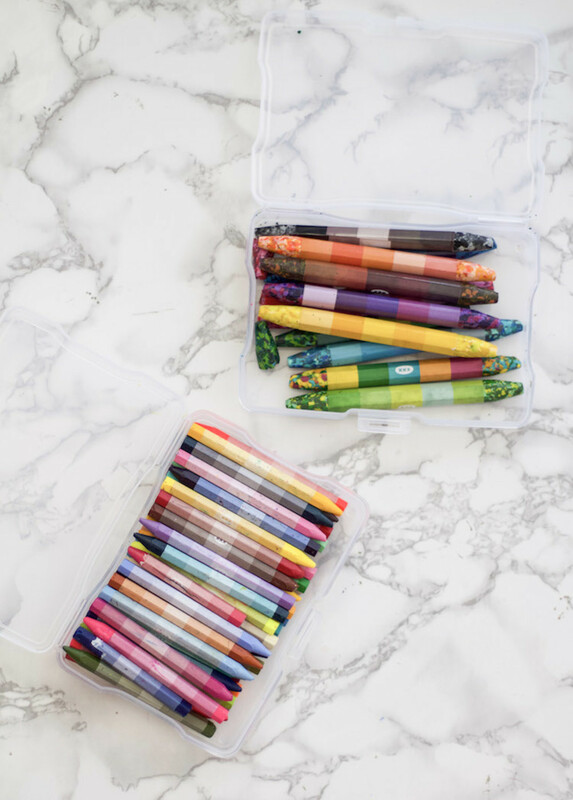 Since crayons break easily, consider using a closed boxed, like Iris Clear Photo & Craft Cases with Hinged Lids, to give them extra protection. 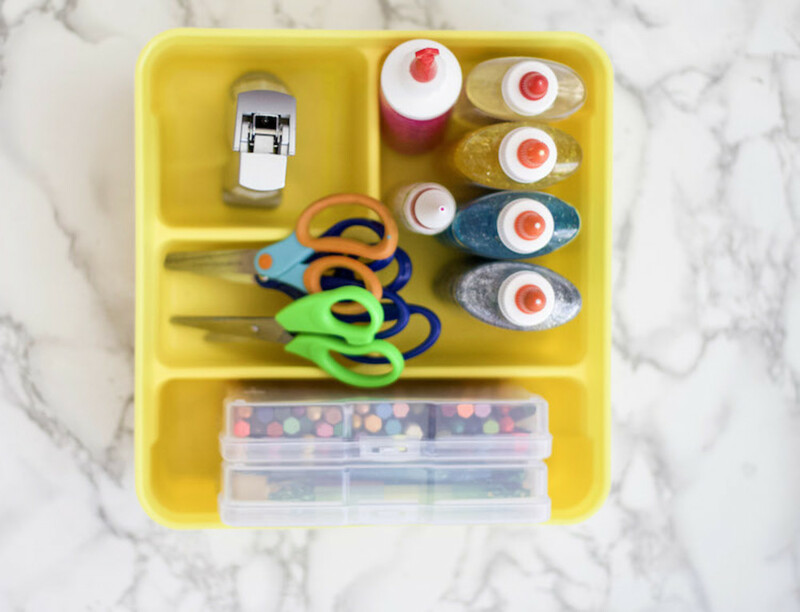 Then, use a Smart Store 4-Compartment Tray to keep those boxes organized among the other craft supplies. When it comes storing paint palettes, the Medium Smart Store Inserts are perfect for dividing up shelf space on the art cart. The inserts are tall, which means large watercolor paints will stand at an angle. 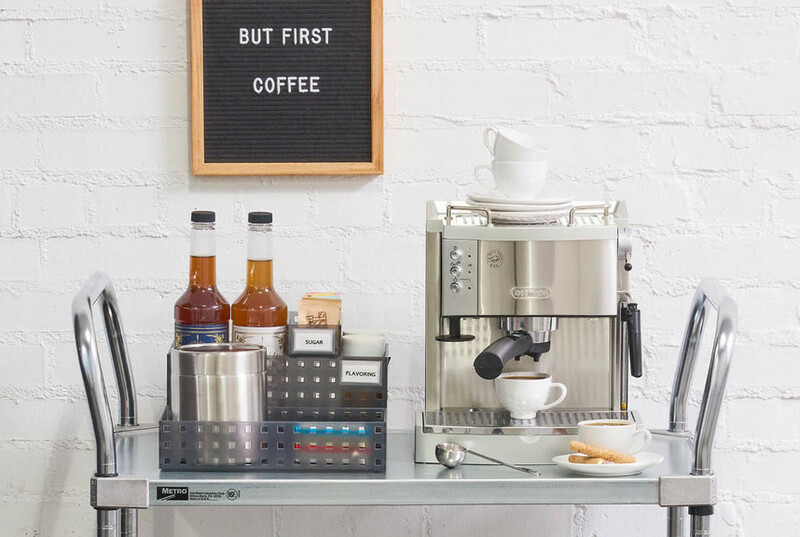 This leaves plenty of room for storing paint brushes and water cups behind those larger paint palettes. 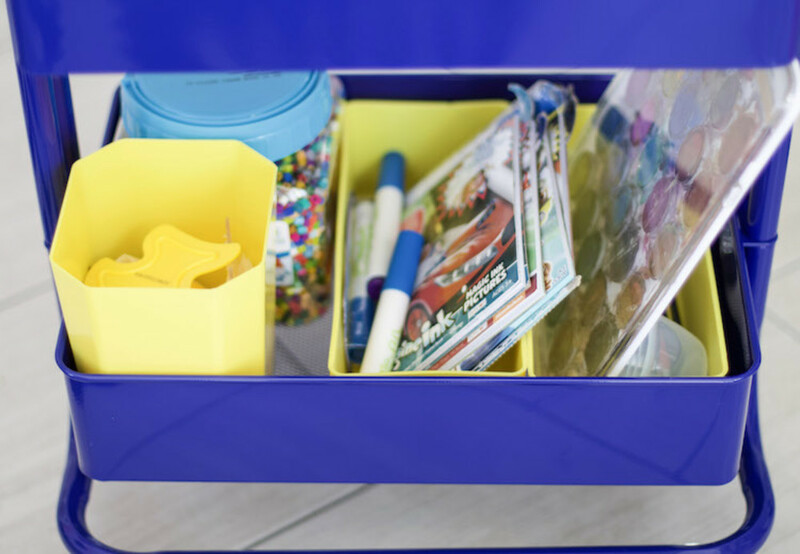 Other supplies, like scissors, glue, staplers, tape and more can easily be sorted and stored in Colorwave Smart Store 4-Compartment Trays or Smart Store Handled Trays. Both are great options for this project. If you're truly stuck, and don't know what your need, The Container Store has an Arts & Crafts Storage Cart Starter Kit with everything you need to organize basic art supplies. And you can always head to my blog or follow me on Instagram for even more great organization tips. 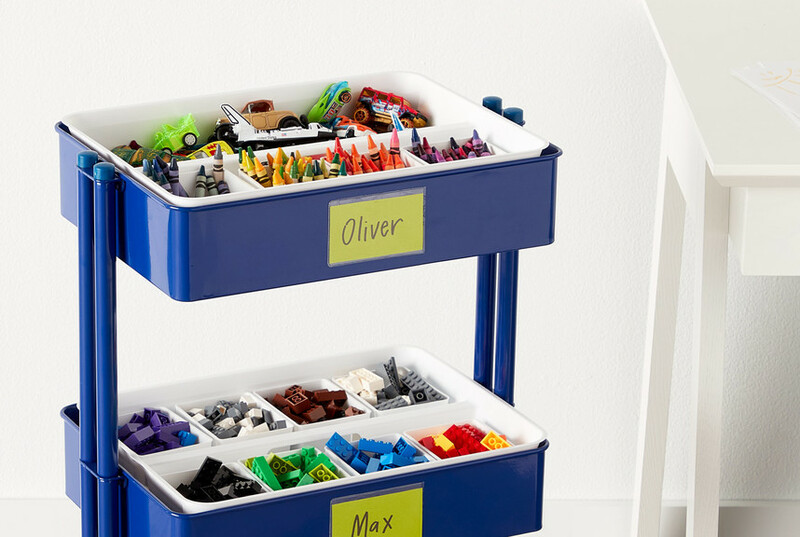 Stack it, slide it, divide it: Completely Customizable Like-It Bricks Storage!